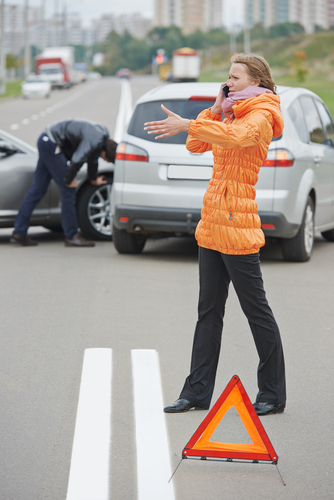 No matter how cautious of a driver you are, sometimes automotive accidents are inevitable. Thus, you should always have a plan in case you’re in one. Luckily auto body repair experts at ABRA Auto are here with a few tips to not only keep you safe after an accident takes place but also simplify the insurance claim process. The first thing you should do is remain calm. If you can, try to pull your car off the road and into a safe area. Then, check to see if anyone involved was hurt. Call 911 if necessary. You should also call the police to the scene, so you can file a report and put the accident on record. While waiting for the police to arrive, gather all the information they might need including the names and numbers of each party involved, license plate numbers, and insurance policy information. You should also collect photos and eyewitness accounts to provide to your insurance company when filing your claim. Visit Your Local ABRA Auto For Expert Auto Body Repair! Once you’ve followed the above steps and you’re ready to repair your vehicle, you can rely on ABRA Auto. Stop by your neighborhood ABRA today or visit their website to learn more about their auto body and auto glass repair as well as dent removal services.